Every so often, Cinephile City takes the time to wish a happy birthday to its favorite filmmakers. 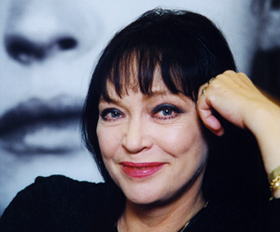 Few performers in French cinema are as important as Anna Karina, celebrating her 75th birthday today. As Jean-Luc Godard’s wife and collaborator during the early 1960s, Anna Karina starred in classics such as A Woman is a Woman, Vivre sa vie, Band of Outsiders, and Pierrot le Fou, which owe a great deal of their success to her delightful, and frequently heartbreaking, performances. Despite having a career that has stretched for nearly fifty years (she made her last appearance in 2008’s Victoria, which she wrote and directed), even the most hardened of cinephiles may have trouble naming more than a few, if any, non-Godard films that she’s starred in. In a certain regard, this isn’t surprising, as in the grand scheme of things, there aren’t many directors as important as Godard. On the other hand, it’s almost unbelievable that an actor with such on-screen presence could have appeared in so many films that have been nearly forgotten. Movies like 1962’s Shéhérazade or the 1967 musical Anna, as well as many others filmed during and after her collaborations with Godard, have been mostly forgotten, particularly by American audiences. Even her most famous role outside of their work together, as Suzanne Simonin in Jacques Rivette’s The Nun, is seldom discussed (though this may simply be an issue of availability). Her sole foray into American cinema, The Salzburg Connection, is virtually unknown and completely unavailable for viewing (Writer’s Note: If you have a copy of The Salzburg Connection you better let me know). 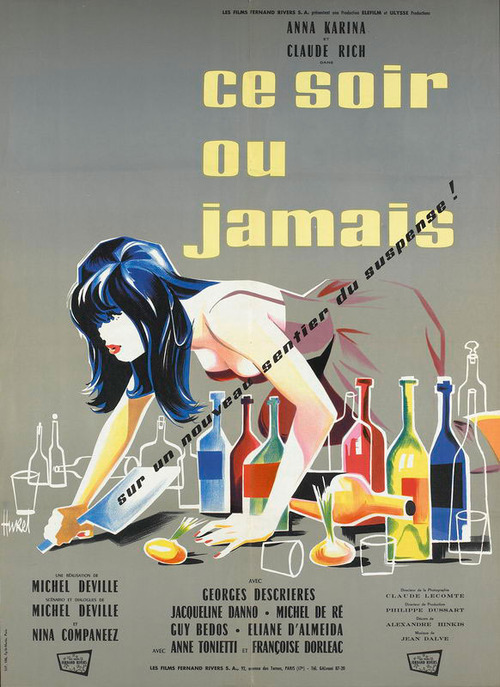 One such film that remains under-seen is 1961’s Tonight or Never (Ce soir ou jamais), directed by Michel Deville. At the time of filming, Anna Karina had only appeared in Godard’s The Little Soldier, which would not be officially released until 1963. She was now living with, and soon to be married to, Godard. He, however, wanted Karina to give up acting; when she was offered the lead role in Tonight or Never, he did his best to convince her not to take it. 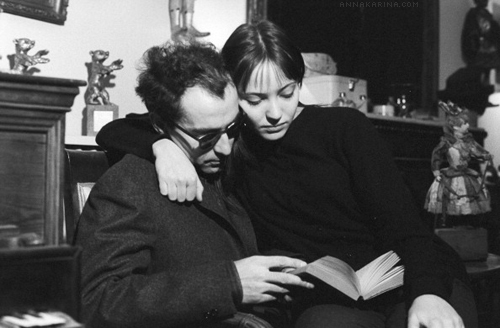 As Richard Brody writes in Everything is Cinema: The Working Life of Jean-Luc Godard, “Godard told her that the script was bad and asked her mockingly how she could bear to say the lines, but Karina thought him to be ‘mad with jealousy’”. Surprisingly, her performance in the film would ultimately change his attitude toward her career; it wasn’t until Godard saw some of Karina’s work in the dailies of Tonight or Never that he decided to cast her as the lead in A Woman is a Woman. He had never intended for that part to go to her. It’s worth taking a closer look at this movie then, as without Karina’s performance in it, there’s a very good chance she would not have appeared as Angela in A Woman is a Woman, perhaps her most defining role. Tonight or Never itself is only okay, often relying on the mistaken belief that as long as dialogue is performed quickly and loudly, it will magically become funny. Karina is the obvious standout, as transfixing as ever, even at this early stage. The otherwise unmemorable plot is made much more interesting, however, in that it very closely mirrors Karina’s relationship with Godard. Karina plays Valérie, an actress who is set to appear in a supporting role in a musical produced by her on-again, off-again lover, Laurent. At a gathering with some of the show’s cast and crew, Laurent learns that his lead-actress has been hurt in an accident, forcing him to re-cast the part by the next day. Although Valérie is suggested as an obvious alternate, he insists she’s not right for the part and begins his search for a new actress. Valérie does her best, over the course of the night, to make Laurent as jealous as possible, especially as he begins focusing more of his attention on Nicole, the young actress who he ultimately decides should be the lead in his show. She sees this not only as a way to gain his love in full, but also as a means to prove to him that she’s more than capable of the role. The parallels between the plot and Karina’s life are striking: she too was being passed over by her lover for actresses like Brigitte Bardot and Marina Vlady, who Godard felt would be better fits in A Woman is a Woman. Just as Karina felt he was simply “mad with jealousy” when she decided to take the part in Tonight or Never, Valérie recognizes how she can take advantage of Laurent by exploiting his envious nature. This is best illustrated in a wonderful scene in which we see what very well may be the birth of Anna Karina as she came to be known. As part of her plan, Valérie flirts with Guillaume, a friend of Laurent’s. Once she sees that this has gotten Laurent’s attention, she puts a record on and launches into a dance with Guillaume that can best be described as “absolutely zany.” It’s very much worth watching in full. One can’t help but imagine Godard seeing this footage in the dailies and deciding that, yes, Anna Karina belongs in A Woman is a Woman. Within the film, the dance serves as a display of Valérie’s ability to take on the lead role in her boyfriend’s musical, and likewise, it showed Karina herself’s ability to star in Godard’s personal version of a musical. Sure, Tonight or Never may be a little uncool compared to the New Wave movies being made in France at the time. Despite Michel Deville coming on to the New Wave scene around the same time as the likes of Godard, Truffaut, and Chabrol, he wasn’t really part of that crowd. And yet, without his film, we may have never gotten Anna Karina’s magnetic performance in A Woman is a Woman, her iconic dance scene in Vivre Sa Vie, or the Madison scene in Band of Outsiders, which is in the running for hippest of all time. For these, we very well may have Karina’s performance in Tonight or Never to thank. Eli Sentman is Cinephile City’s resident expert in French cinema.